With all eyes on swankier developments lately (I’m looking at you, The Point), other more plebeian developments are off the radar… except here. One giant multi-use development going into a less glamorous part of El Segundo is the massive Elevon, complete with retail, dining, offices, and hotels. And the area around appears to be benefitting as well. 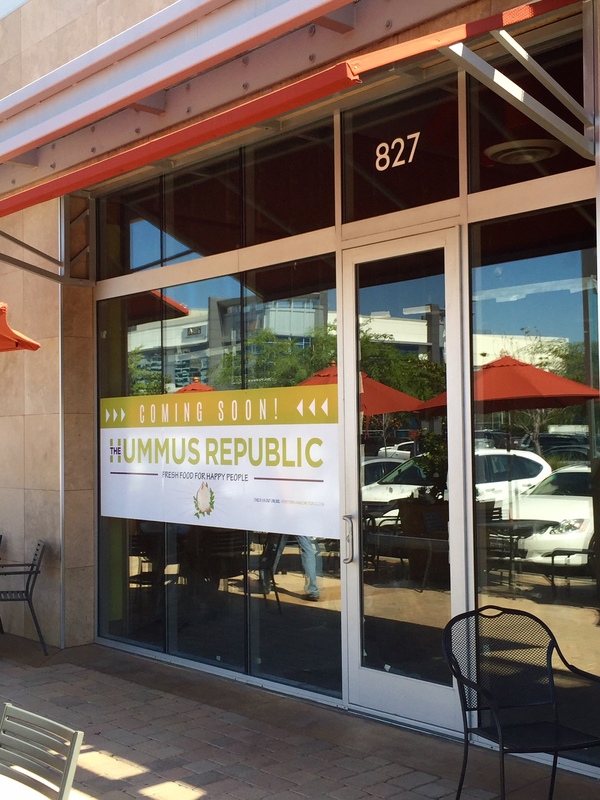 Right next door is another, smaller complex, The Edge, located on the corner of N. Douglas St. and E. Maple Dr. With a couple of outlets across The Valley and one in Downtown LA, it appears that The Hummus Republic is expanding into The Edge complex, right next to Elevon. Read more about their “Where Healthy Meets Tasty” Mediterranean menu and find out more here. This entry was posted in News and tagged Downtown LA, El Segundo, Elevon, The Edge, The Hummus Republic, The Valley by toddrickallen. Bookmark the permalink.